With over 30 years of experience in Southern California, The Ground Floor™ is the premier restoration, preservation and maintenance company for all your natural stone surfaces. We are experts in cleaning, polishing, honing, grinding, repairing and sealing of Natural Stone, Marble, Travertine, Terrazzo, Limestone, Granite, Slate, Tile and Grout. We also specialize in the restoration of Stainless Steel and Glass. CHECK OUT OUR AMAZING PRODUCTS!! You ask how do I maintain my floors and countertops looking so pristine in my home? We recognized the need to create and distribute products for our customers to use in their own home. 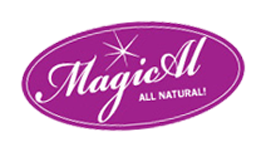 The Magic Al line was specifically designed to offer our customers the same products used by the The Ground Floor.